Moss and succulents. Save on design and assembly costs by creating your own green wall masterpiece. Not happy with the result or feel like a change: simply rearrange the plants for a fresh new look. Buy foliage, plants and backing and do it yourself. 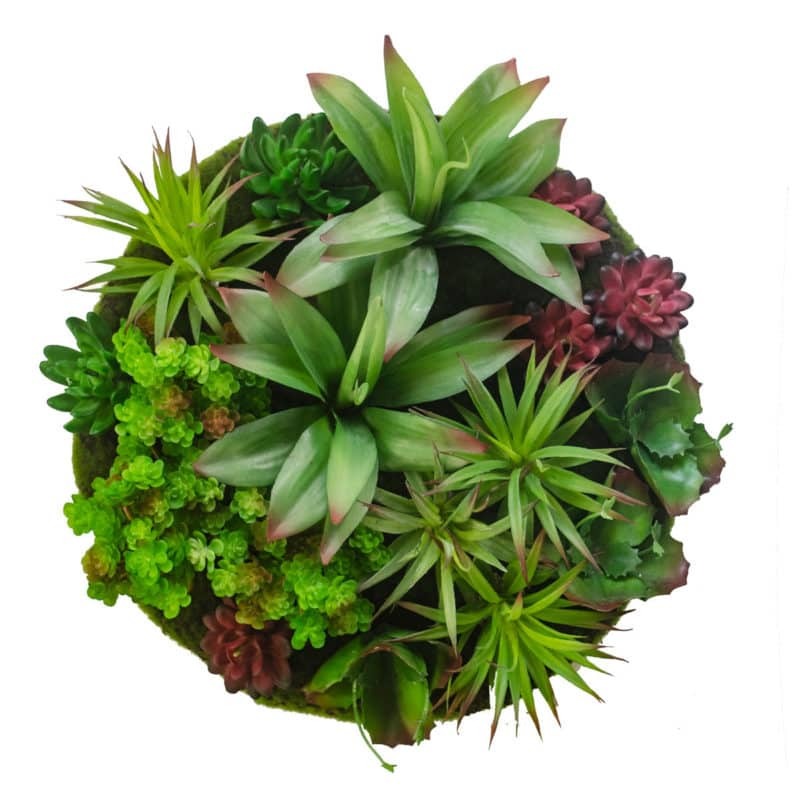 A huge range of layouts from can be made from a simple palette of 4 or 5 plant varieties. The photo represents 1 sq.m of green wall theme #3. No two modules are the same. 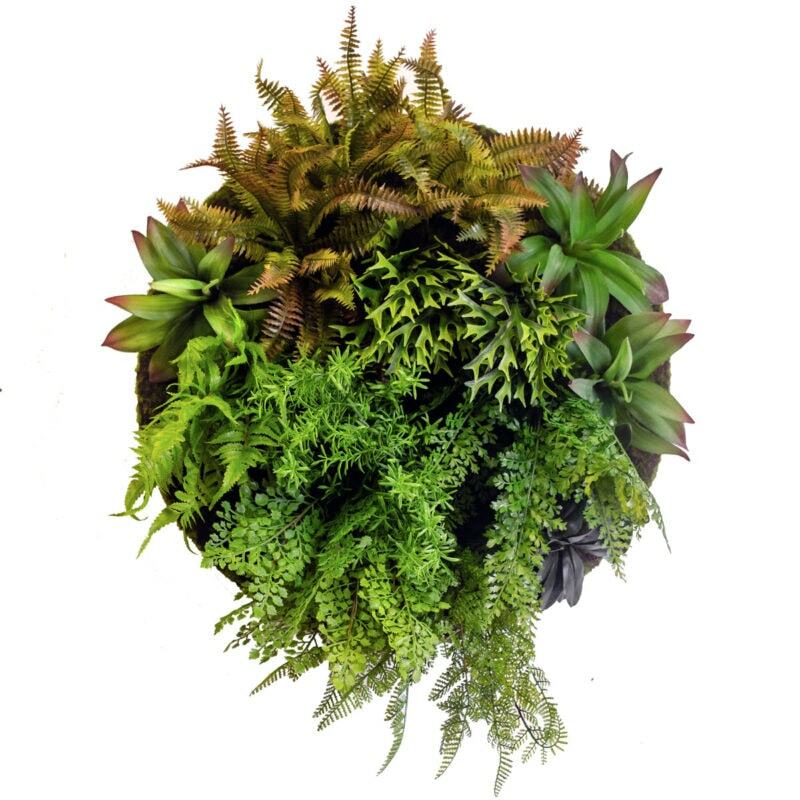 Readyleaf vertical gardens can be made to any size or shape.